e = the number 2.72.. Note! After some time the concentration in the room will stabilize. 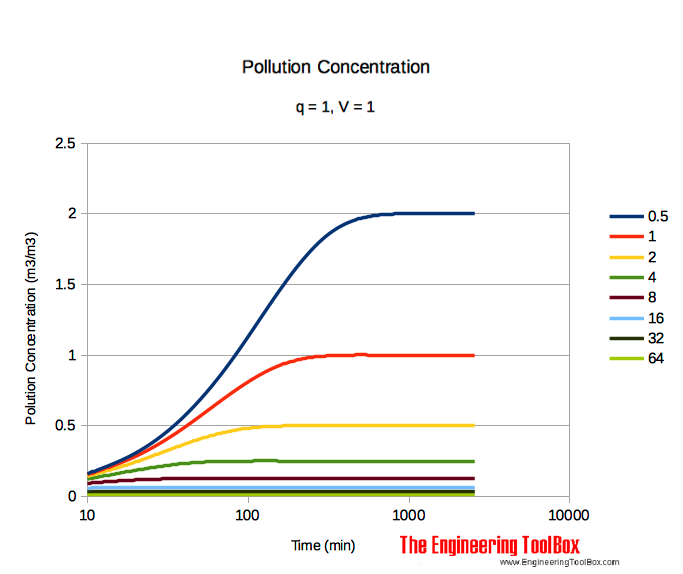 The table below shows the value of c when the amount of pollution q = 1, and the volume of the space V = 1. Engineering ToolBox, (2003). Pollution Concentration in Rooms. [online] Available at: https://www.engineeringtoolbox.com/room-polution-concentration-d_120.html [Accessed Day Mo. Year].